Looks like a bit of a button masher, but nothing wrong with that every now and again. The Amazing Spider-Man - 69p on IOS! It looks amazing on my iPad, and the best spider-man game ever? No way, that can't be right!!! Free? There must be some catch. Maybe it's to get a userbase going so they can flog more expansions and add-ons. It's true I tell you, I grabbed it myself. Dammit! Why didn't I see this yesterday! 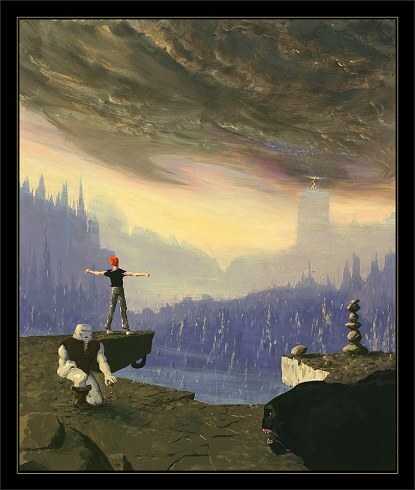 Another World 20th Anniversary on iOS for 69p this weekend! It's still free today too. Are these two games any good? City is £5 and Asylum £2.50. Arkham City was arguably the best game of 2011, and is the current gold standard RE comic book video game adaptations. That price is a steal. Nope. THey're on sale for the next 48 hours. First one £2.49. Second one £4.99. Both GOTY editions with all DLC. I knows 'cos I just bought them.